There is a selection of beautifully appointed private rooms for you to choose from at Greenhill Manor, either in our fully refurbished heritage manor house or our new purpose-built wing. For those affected by dementia we have Greenhill Lodge, our dedicated memory care wing. Family and friends are always welcome and we have an abundance of shared spaces, both indoors and out, for you to spend quality time with loved ones. Our courtyard is a particular highlight with an interactive area, gardens and giant chess game to entertain both residents and visitors. Our historical manor house features six residences with private ensuites. Two dining rooms, a selection of cosy sitting rooms and a large lounge room complete the manor’s facilities. 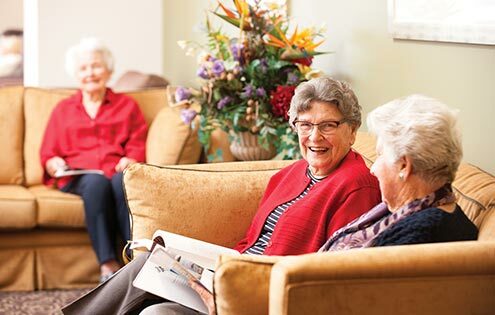 With its high ceilings, plush carpets and many thoughtful touches, the manor house offers its residents a lovely, intimate living experience. The Hoskins Wing offers a selection of 21 private, ensuite rooms, all of which boast views across our gardens or landscaped courtyard. Ten of these rooms also feature balconies for enjoying a cup of tea as you soak in the sun. A lounge and dining area on the same floor gives residents of The Hoskins Wing somewhere to meet friends and share a meal. 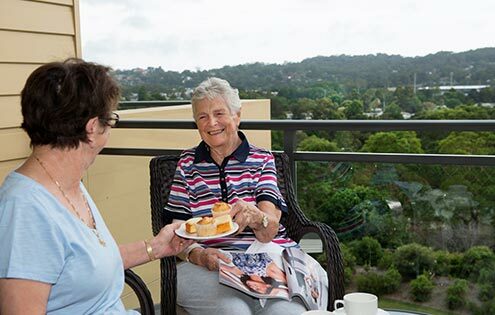 Residents can also visit the Conservatory with Lite Bites servery and tea and coffee making facilities. Our purpose-built memory care unit, Greenhill Lodge, provides a safe, secure environment for residents affected by dementia. All 21 private rooms specifically cater for those with dementia and benefit from many unobtrusive features, including a specially designed bed with memory care mattress and a toilet highlighted by contrasting-coloured tiles and night lights. A shared lounge area and dedicated sensory garden complete Greenhill Lodge. Greenhill Manor is a new facility. Images are of our sister home Hillside at Figtree and are indicative of the facilities, lifestyle and finishes at Greenhill Manor.